Since 2009, ANZANI New Mediterranean Cuisine brings culinary innovation in a spectacular and unique dining setting in Cebu, Philippines. Five time awardee as “best of the best” and “Cebu’s best” on the international sector for two straight years, Chef Marco Anzani prepares New Mediterranean Cuisine to a different palate. ANZANI is actually a family name of two heads, a husband and wife team, Marco and Kate Dychangco-Anzani have created the brainchild of this dining destination in 2008. Perched on the top of the Nivel Hills, the panoramic views of Cebu was translated and transformed to a venue in which gourmet food, entertainment, comfort and style merge. 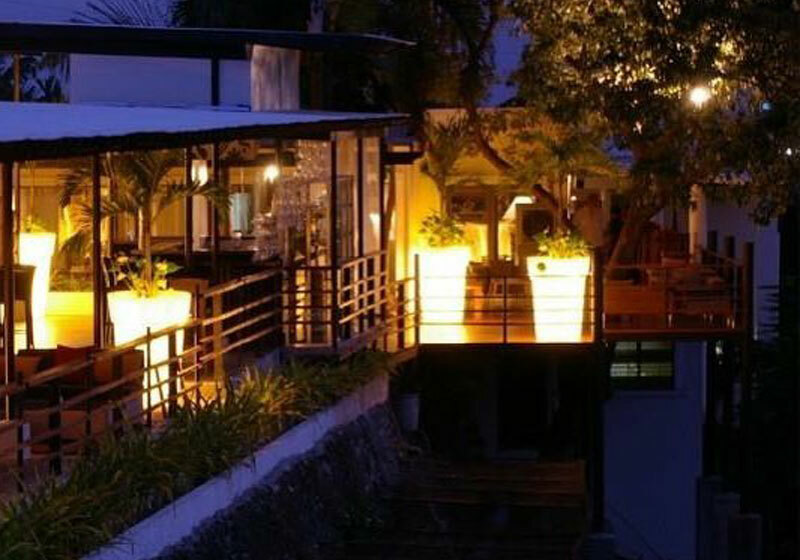 Anzani is a showcase of what Cebu has to offer sustainably home grown and global. The cuisine of the restaurant is New Mediterranean in nature. The business is run on a professional scale and level where hospitality and personal detail is compounded resulting in team effort, result oriented leadership. Anzani offers Ala Carte cuisine in the indoor dining room (seats 120). They also offer a private dining room, seats 8-10 people, where the chef defines as the “red plate”. There is no menu. According to the chef’s creativity and mood, he creates. In one occasion, he intrigued and bewildered guests with a bittersweet chocolate ravioli in lamb tangine and sambucca foam reduction. Truly an experienced chef can put flavours together to make a perfect balanced bite. Short Description: Since 2009, ANZANI New Mediterranean Cuisine brings culinary innovation in a spectacular and unique dining setting in Cebu, Philippines. Five time awardee as “best of the best” and “Cebu’s best” on the international sector for two straight years, Chef Marco Anzani prepares New Mediterranean Cuisine to a different palate.